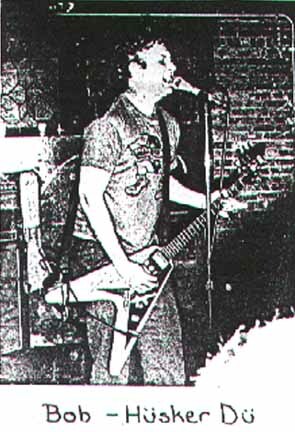 Husker Du images: Unknown location, 1982? Hüsker Dü images: Unknown location, 1982? Bob performing at an unknown venue in the early 80s, possibly Backstage, Tucson AZ, 28 Dec 1982.